Legislator of the Year was awarded to District 33 Idaho Senator Bart Davis for his consistent and solid support of Idaho’s libraries and library districts. Senator Davis “has been the calm and articulate balance” in explaining the effects of legislation proposed in the capitol and ensuring that those proposals which affect libraries are “considered thoughtfully, fairly, and with community education and literacy at the forefront.” He has played a critical role in shaping various legislation concerning topics such as election reform, terms of library trustees, and the Read to Me program. 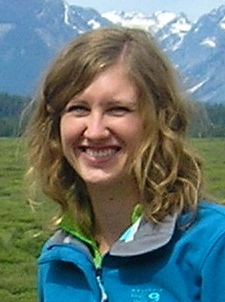 The Idaho Library Association congratulates Boise resident Jenaleigh Kiebert, recipient of the 2012 ILA Gardner Hanks Scholarship! Since 2002, the $500 scholarship has been awarded to students pursuing a “formal library education” and who best match the vision of Gardner Hanks, 2001 Idaho Librarian of the Year. Kiebert is pursuing a master’s degree in Library and Information Science from the University of Washington. She is currently taking courses in metadata design and cataloging and plans to graduate in March 2013. Kiebert also holds a BA in Art History and Visual Culture from Boise State University. Kiebert recently started a new position as a Library Assistant at the Idaho State Archives and Research Center. She previously volunteered and interned for the State Archives where she processed collections and entered metadata for historic photographs to be accessed online. The State Archives provide public access to materials that relate to the history of Idaho and the Pacific Northwest. To learn more about Gardner Hanks Scholarship or to apply for the 2013 educational scholarships please visit www.idaholibraries.org/awards. Kristi Brumley is the Technical Services Supervisor at Garden City Public Library. The Idaho Library Association Scholarship worth $500 was recently awarded in Pocatello at the Idaho Library Association (ILA) annual conference banquet. The Scholarships and Awards committee received several applications from highly qualified applicants. After careful review of each application, Katelyn Volle was chosen as the recipient of the scholarship from ILA. Katelyn started classes this fall at the University of North Texas (UNT) in Denton, Texas. It will take her 2 years to finish her Master’s degree. She is currently working as the Library Assistant at Canyon Ridge High School in Twin Falls. She was born in Twin Falls and has spent most of her life there, but she has also lived in Colorado, Georgia, and Texas. Idaho will always feel like home to her. The ILA scholarship requires candidates to be a member of ILA and to participate in an educational activity such as workshops, institutes, conferences or courses. 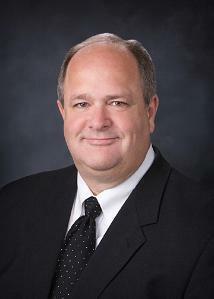 Candidates may apply for 2013 scholarships in April. They will be presented at the ILA Annual Conference in October. Amy Mortensen, Adult Services Supervisor at the Twin Falls Public Library and the ILA Public Library Division Chair for 2012-2013. ILA’s 2012 Librarian of the Year has contributed to both her community and the larger library community for many years. She recently retired as library director of a city library which colleagues and Board members report she transformed during her thirteen year tenure. The quantity and quality of collections, programs for all ages, use of technology and library visibility all greatly increased as a result of her leadership-so much so that the library outgrew its facility. Not to be deterred, she took on the daunting job of attaining a library building that matched her vision that “libraries change lives.” Along the way she inspired the creation of a Friends of the Library organization, a Library Foundation, and a Campaign Cabinet which worked with the City Council on a five year business plan that used a private/public partnership to acquire a new library facility. While the library was not a reality when she retired, plans to move into it in 2013 are well underway. In addition to her leadership at the library, she is a long standing member of the Idaho Library Association, the American Library Association, and has served on various city, state, and regional boards. She has served on many committees which support library services for the entire state such as the Idaho Commission for Libraries LiLI Advisory Council and the Talking Book Service Advisory Committee. We are delighted and proud to recognize Dawn Wittman as the 2012 Idaho Librarian of the Year. Sue Walker, ICFL Library Consultant. Susan collaborates with staff to create lessons that incorporate the best in educational practice. She keeps her staff informed of new technological tools that they can use in their classrooms. She has developed a diverse collection that reflects the needs of the students at Wood River Middle School. She is respected by her school community. Congratulations to Susan for creating a model library program. Jillian Huang (formerly Subach) was nominated by her former employees at Boise Public Library! Collister. Being recognized by those who you must lead and supervise is among the most flattering of honors. Jillian’s achievements while a librarian, as well as her work beyond with the Treasure Valley Institute for Children’s Arts (TrICA), made her an outstanding nominee for the Special Services to Libraries award, making it easy for us to recognize her for this honor. While a librarian for Boise Public Library, Jillian collaborated with many community members to facilitate a Readers are Leaders book discussion group. One of the highlights of her work there was bringing former CEO of Micron, Steve Appleton, to a youth book discussion to inspire youth to continue reading. Jillian tirelessly served as a Legislative Co-Chair for the Idaho Library Association. Her dedication and professionalism ran very deep. On one occasion she was asked by Lori Otter to dress as Ida from the book Ida Visits The Capitol, written by Mrs. Otter. She worked extremely well with the legislators during her time in this position and worked to meet the needs of all of Idaho’s citizens in this capacity through the power of libraries. After leaving her position at Boise Public Library to climb Mt. Everest and move to Singapore, she continued to work with TrICA to advance literacy and information literacy skills. On the Board at TrICA she facilitated work with all of the libraries in the Boise Public Library system to host arts programming. We thank Jillian for her incredible dedication to Idaho libraries, for the years she spent workin in Idaho’s libraries, and to her service to the profession through the Idaho Library Association. We honor your work, Jillian, by awarding you the Special Services to Libraries Award for 2012. The Idaho Library Association’s Awards and Scholarships Committee is pleased to award to Dr. Kathleen Hedberg the 2012 Friend of the Year Award. In harmony with the purpose of the award, Kathleen has made substantial related library service contributions to her community of Burley, Idaho. She reflects a selfless commitment to her community and the library and demonstrates active involvement and leadership. 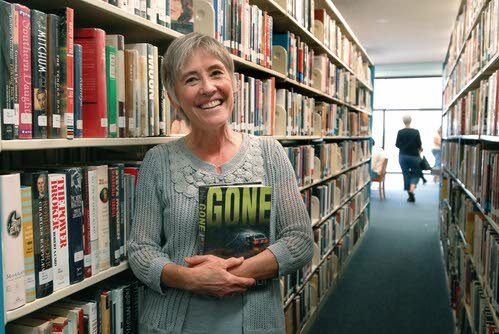 As a Friend of the Burley Public Library, she demonstrates the use of her expertise in local history and as an author to positively affect everyone in her community and in her profession. Kathleen has been past president of Friends of the Burley Public Library and has been instrumental in several city-wide projects. To qualify for this award, nominees must be an individual Friend of the Library or a Friends Group, a current member of the Idaho Library Association, display exceptional contributions to a library, contributed significant length of service, achieved a significant project, or collaborated with outside groups on a significant project.